Kenneth Rodgers, son of the late Joseph and Mamie Taylor was born on August 10, 1929 in the Burrough of Roselle Union County, NJ. He departed this life on Wednesday, January 16, 2019. As a youth seeking employment, he began his career at Eastern Stainless Steel Company. He served in many capacities and eventually became a supervisor until his retirement in the early 1980”s. After retiring, he returned to the family home town of Burkeville, VA. He loved to do work outside around his home, gardening, and keeping his car clean. He was a stickler for time and did not like to deviate from his schedule. He loved watching TV while enjoying his favorite snacks. 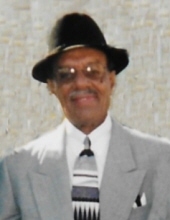 Kenneth was preceded in death by his loving wife, Lillie “Catherine” Taylor and four of his children, Kenneth Jr., Madeline (Leo) Blackwell, Dortrie, and Crystal (Ralph) Brisueno. He is survived by his daughters, Sandra (Charles-deceased) Reinhardt, Sonja (Andre-deceased); adopted son, Curtis (Dionne) Hurte, Jr.; grandchildren, great grandchildren, nieces, nephews, and a host of other family members and friends. Funeral Services Saturday, January 26, 2019 at 11:00 a.m. at New Bethel Baptist Church, Crewe. Interment Trinity Memorial Garden, Rice. W.E. Hawkes & Son Funeral Home of Blackstone in charge of the arrangements. To plant a tree in memory of Kenneth Rodgers Taylor, please visit our Tribute Store. "Email Address" would like to share the life celebration of Kenneth Rodgers Taylor. Click on the "link" to go to share a favorite memory or leave a condolence message for the family.